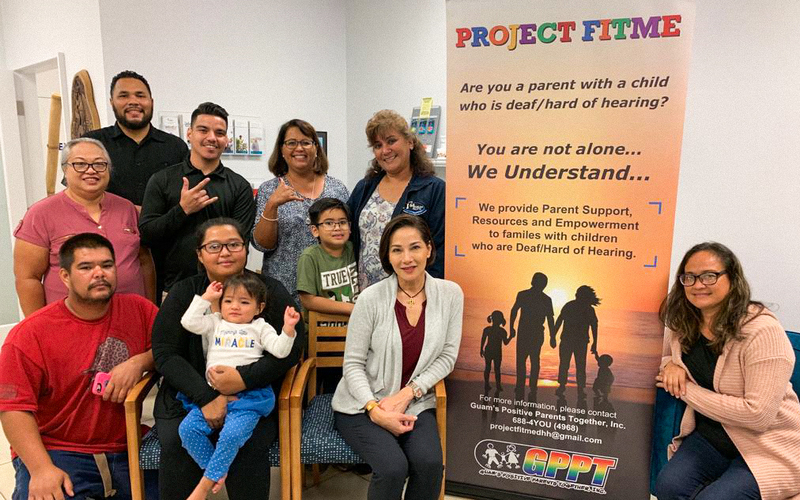 January 19, 2019: Renee Koffend, AuD, CCC-A, facilitated a Parent Leadership Training on “Introduction to Deaf and Hard of Hearing” for parents and family members at Guam Hearing Doctors. 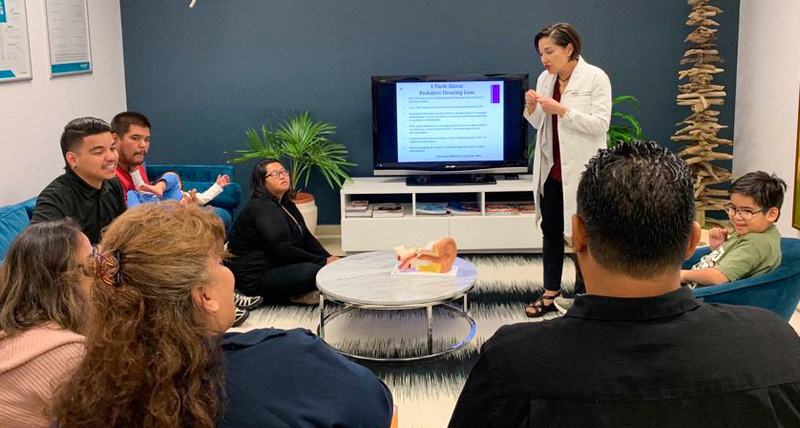 The training focused on the causes of hearing loss, available hearing technology and other forms of communication, the purpose and importance of the hearing booth, and how to read an audiogram which shows the type, degree, and configuration of hearing loss. (Pictured from left to right) Front Row: Milo Roberts, Jamae Quenga, Mila Nicole Quenga. Dr. Renee Koffend, and Evelyn Topasna. Back Row: Bobbie Aflleje, Project FitMe Staff; Ivan Babauta, ASL Community Interpreter; Nathan Manibusan, ASL Community Interpreter; Susan Dugan, Project FitMe Coordinator; Caleb and Trisha Suzuki.